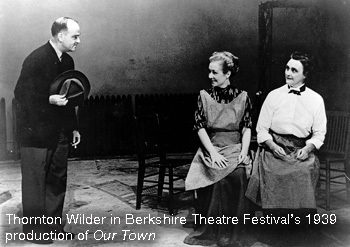 Berkshire Theatre Group was created in 2010 by the merger of two of Berkshire County’s oldest cultural organizations, Berkshire Theatre Festival founded in 1928 in Stockbridge and The Colonial Theatre built in 1903 in Pittsfield. One of the largest and most exciting arts organizations in the area, BTG oversees the development, production and presentation of theatre, music and the performing arts. On September 28, 1903 The Colonial Theatre, designed by J. B. McElfatrick, opened its doors. McElfatrick designed 220 theaters in total, 39 of which were on Broadway, the Colonial is one of only a half dozen still standing. The Colonial was built in five and a half months and boasted pristine acoustics and classic gilded age architecture. As was sometimes the custom in that day, the exterior of the theater was designed by a respected local architect, Joseph McArthur Vance who also designed Pittsfield’s Masonic Temple, the Christian Science building, the superstructure of the Wahconah Park Stadium, Mount Greylock’s Bascom Lodge, and the Mahaiwe Theatre in Great Barrington. 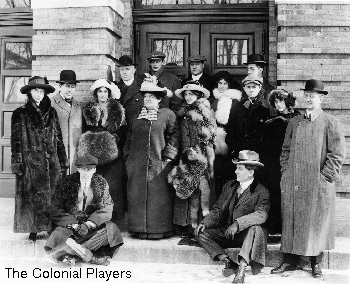 In 1912 the Colonial Players were founded. They were an in-house company that produced weekly shows from May through October. 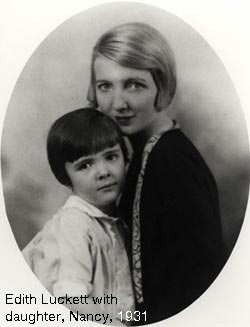 Edith Luckett, Ronald Reagan’s mother-in-law, was the original star of the Players. After extensive renovations, the perfect proportions of the Colonial Theatre were enhanced with state-of-the-art theatrical technology—footlights, border lights and a switchboard by the General Electric Company. Maude Adams, Ethel Barrymore, John Barrymore, Sarah Bernhardt, Eubie Blake, Billie Burke, George M.Cohan, Irene Dunne, Grace George, William Gillette, Walter Hampden, Helen Hayes, Al Jolson, Alfred Lunt and Lynn Fontanne, Julia Marlow and E.H. Sothern, Will Rogers, Lillian Russell, Ted Shawn, Noble Sissell, Ruth St. Denis, Laurette Taylor, Ed Wynn and many others performed on the Colonial stage throughout its life. In 1929, during its second season, the Berkshire Playhouse launched a theatrical school, welcoming Jane Wyatt as one of their first students. Katharine Hepburn had small roles in two plays and James Cagney was in Oh, Boy! by P.G. Wodehouse. In 1934 The Colonial Theatre closed due to the depression and the Berkshire Playhouse began its search for a new director. Walter Clark called his four most loyal board members—Mabel Choate, Daniel Chester French, Austen Riggs and Walter Prichard Eaton—to determine the Playhouse’s future. 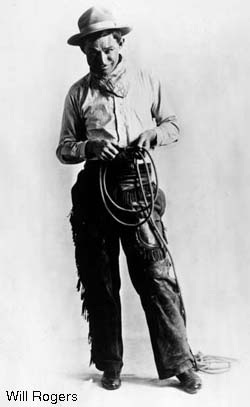 In 1935, they decided to continue operations under the direction of 23-year-old Billy Miles, a bit actor during the Playhouse’s first season who later worked as a gofer for Strickland. 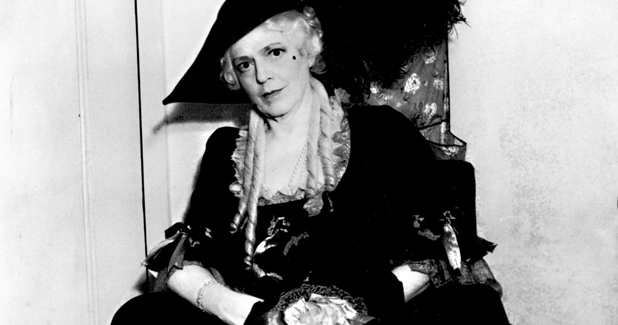 The icing on the cake of that 1935 season was Zoe Akins’s Déclassée with Ethel Barrymore. 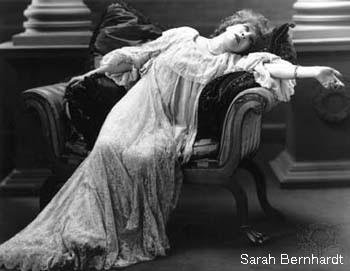 Though she was 55 years old, 15 years older than she’d been when she’d played the glamorous role on Broadway in 1919, the Playhouse’s audiences were thrilled with Barrymore’s performance. In the years to come, Miles continued to pursue female stars. It was, as Brook Atkinson called it, “the Era of the Matriarch,” and featured the likes of Tallulah Bankhead, Ruth Gordon, Lillian Gish, Eve Le Gallienne, Peggy Wood, Ruth Chatterton, Shirley Booth, Kay Francis, Sylvia Sidney and Gloria Swanson. 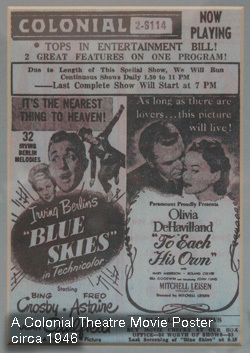 Billy Miles remained the Berkshire Playhouse’s director for 18 years. In 1937 the Colonial reopened, a new marquee, projection room and two retail stores having been added to the front of the building, dramatically altering its classic lines. It operated primarily as a movie theater although some community performances continued until the day the theater closed. In 1951 the Colonial closed again due to the rise of TV and the decline of touring theatrical companies. In 1952, the Colonial was put up for auction. Although George Miller was the lowest bidder, he wanted to save the building rather than demolish it, and thus Miller Art Supply moved into what had been the orchestra level. One final performance, Curse You, Jack Dalton, was given by the Pittsfield Town Players on the Colonial stage on December 21, 1952. To accommodate a retail paint and art supply business, the orchestra floor was leveled and a drop ceiling was added, concealing—and preserving—the balconies and elaborate architectural details. The Miller family is credited for maintaining the structural and decorative integrity of The Colonial Theatre until the community was ready to bring it back into service as a community entertainment center. 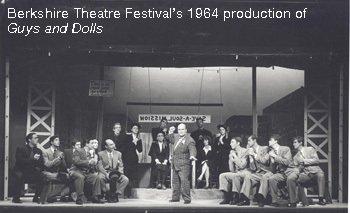 In 1964, the Berkshire Playhouse was reorganized as a non-profit organization and renamed the Berkshire Theatre Festival. 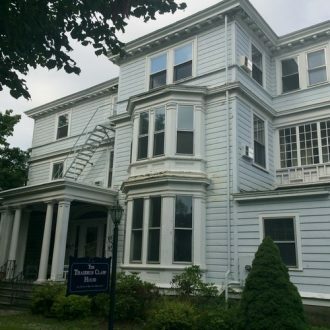 The board hired a new president, Stockbridge resident and playwright William Gibson, who had two Broadway hits to his credit: Two for the Seesaw and The Miracle Worker. Both had been directed by another Berkshire resident Arthur Penn, and had starred one of the country’s most outstanding actresses Anne Bancroft. The Berkshire Playhouse was about to become a theatrical force amongst regional theatre across America. Not only did it have a new name, a new way of doing business, and a new president but, with William Gibson, and his new artistic director George Tabori guiding it, the theatre had a new direction, a revitalized sense of creative vision and a bold excitement. 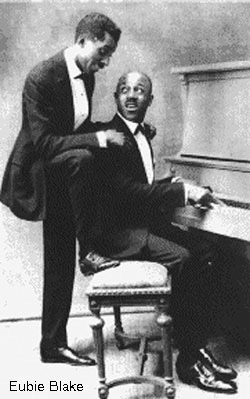 Gibson had opened the door to theatrical experimentation, and the BTF gallantly soared ahead, embracing what was to become the most fertile and dynamic period it had ever known. The 1966 season opened with Thornton Wilder’s The Skin of Our Teeth, directed by Arthur Penn, and featuring Anne Bancroft, Alvin Epstein, Estelle Parsons, and the youngest and least well known member of the company, Frank Langella. Also that season: The Merchant of Venice, bravely updated and set in a German prison camp; The Cretan Woman, a Greek tragedy with Tabori’s wife, the actress Vivica Lindfors; two new one-act comedies by a new, young American playwright Terrence McNally, and Samuel Beckett’s existential comedy Waiting For Godot with Lou Gossett; The only new play of the 1966 season was Murray Schisgal’s Fragments, with two old friends and former roommates who had both just completed making films that were to change their lives: Dustin Hoffman and Gene Hackman. A year later Dustin would receive an Oscar nomination for The Graduate and Gene would receive one for Bonnie and Clyde. 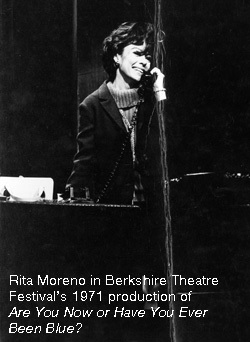 The following year, 1967, Producer Peter Cookson joined Berkshire Theatre Festival, and the season was chosen by him, Arthur Penn and Gibson. 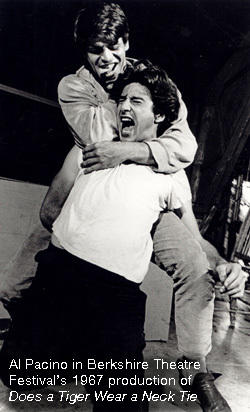 Beatrice Straight appeared in A Streetcar Named Desire; Al Pacino played a juvenile delinquent and drug addict in Does A Tiger Wear a Necktie, a new play by Berkshire playwright Don Petersen which went on to Broadway where the young, virtually unknown Pacino won a Tony for his performance. Frank Langella appeared in Dracula; Anne Jackson starred in John Lewis Carlino’s The Exercise, which went on to Broadway. 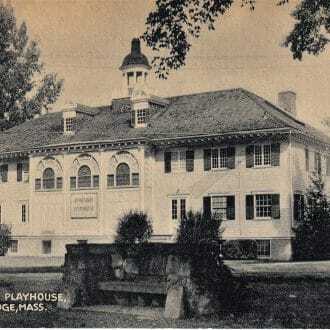 In 1976, The Berkshire Theatre Festival’s playhouse was added to the National Register of Historic Places. 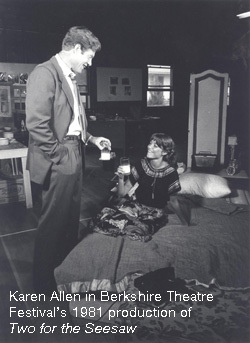 In 1979, The Berkshire Theatre Festival Board launched a nationwide search for a new artistic director, finally settling on a 29-year-old college drama teacher from Vermont. 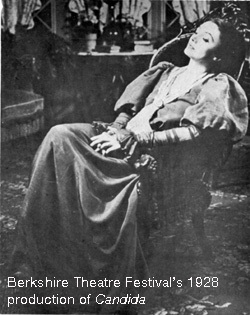 Josephine Abady remained at Berkshire Theatre Festival for nine years, and during that time produced only American plays, many of them revivals, written prior to World War II, particularly the ’20s and ’30s, including: The Butter and Egg Man, The Petrified Forest and The Little Foxes. She also produced works by Stephen Sondheim, Arthur Miller, Clifford Odets, Christopher Durang, Edward Albee and Robert Anderson. Under Josephine, Beatrice Straight appeared in The Glass Menagerie, Sigourney Weaver in The Animal Kingdom, George Grizzard in Harvey, Kim Hunter in A Delicate Balance, Dorothy McGuire in I Never Sang for My Father and Christopher Walken in The Rain Maker. 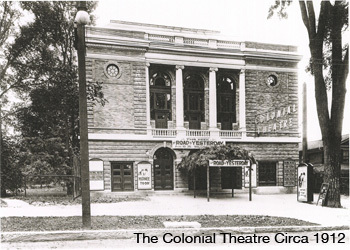 In 1994 Friends of the Colonial Theatre Restoration was formed by Bob Boland. In 1996 The Unicorn Theatre was reopened after a lengthy renovation and became BTF’s official second stage. 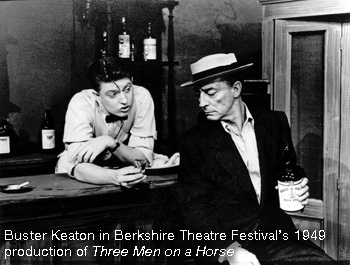 Since the beginning, Berkshire Theatre Festival had a focus on training. Early acting apprentices renovated a space in the old Mellon Barn to rehearse and perform scenes and monologues. By the 1980s this Unicorn Theatre became a home for new and experimental work and in 1992, the Unicorn was home to cabaret acts from New York City and a workshop style production. 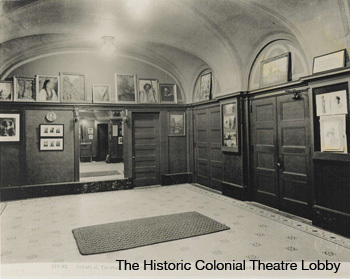 In 1997, public tours of The Colonial Theatre led to increased community awareness of its potential. Then State Senator Andrea F. Nuciforo, Jr. of Pittsfield announced that the pending Commonwealth of Massachusetts Convention Center Bond Bill included $2.5 million in funding for the Colonial Theatre Restoration Project. Subsequent regular public tours of the building were scheduled by the Friends of The Colonial Theatre Restoration, Inc. and public sentiment about the value of the project to Pittsfield began to grow. In 1998, after many years of effort by the Friends of The Colonial Theatre Restoration, Inc. to have the theater’s historic significance recognized by the community and the nation, The Colonial Theatre was designated a National Historic Treasure by the Save America’s Treasures Program of the National Park Service. 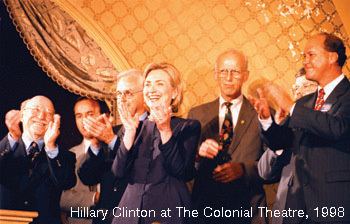 Reinforced by a visit to Pittsfield by then First Lady Hillary Clinton, this designation provided national credibility to the plan to restore and operate The Colonial Theatre. Senator Nuciforo continued to secure additional Commonwealth support for the project as others built local momentum and plans for the theater. In 2001, The Colonial Theatre was purchased from the Miller Family and in 2004 The Colonial Theatre Association began the process of restoration by removing the temporary walls and ceilings and having the layers of paint analyzed to confirm that the original ornamentation matched its description in news reports from its 1903 opening. After years of design, planning, and community fundraising, the rehabilitation of the historic Colonial Theatre and the extensive renovation of the adjacent Berkshire Auto Garage were undertaken. In 2006 the Colonial reopened after a $21 million restoration. The twenty-two-month construction process preserved and reinstalled all historically significant architectural and design features while creating a modern performance center equipped to handle the needs of artists and audiences alike. Audiences were awed by the vaulted gilded entrance, the elaborately decorated boxes and balcony, the meticulously crafted custom plasterwork, and the exquisitely painted ornamental detail. The upper Gallery level preserved the original rare high-backed “pew” seating from which the view of the original “sail vault” over the proscenium, complete with its restored central mural featuring the muses of art and music, could once again inspire all who saw it. 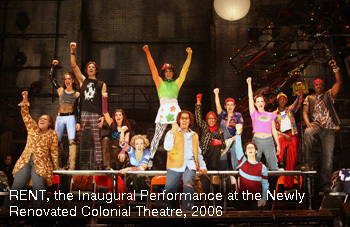 The inaugural performance was a touring production of RENT. In 2007, singer-songwriter James Taylor returned to the Colonial for 3 days in July to record his One Man Band tour for world-wide TV and home video release. Joining him was Larry Goldings (his keyboardist and sole band member for the tour). Also, legendary theater and film score composer and pianist Marvin Hamlisch performed on September 8th at the Colonial’s annual Gala celebration. In 2011 Berkshire Theatre Group opened The Garage, located in the lobby of the Colonial. Its name pays homage to its former owner, Berkshire Auto Co. Garage. This newly developed venue, complete with stage, lights and sound system, is BTG’s dedicated venue for local and regional music performers. 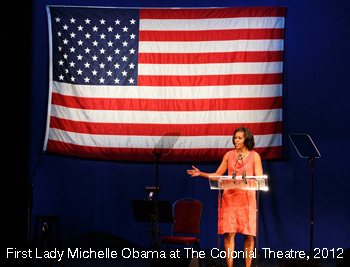 In 2012, First Lady Michelle Obama spoke at The Colonial Theatre as a part of President Obama’s re-election campaign. 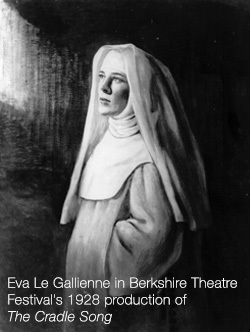 In 2013 Berkshire Theatre Festival celebrates its 85thsummer season and The Colonial Theatre celebrates its 110th birthday.